Stephanie P. Sanderson, Alexandra Fox, and Kit Cunningham recently authored the Bermuda Chapter of the Legal 500 Global Guide to Fintech. This country-specific Q&A provides an overview to Fintech law in Bermuda. It covers open banking, regulation of data, cryptocurrencies, blockchain, AI and insurtech. The Q&A is part of the global guide to Fintech. 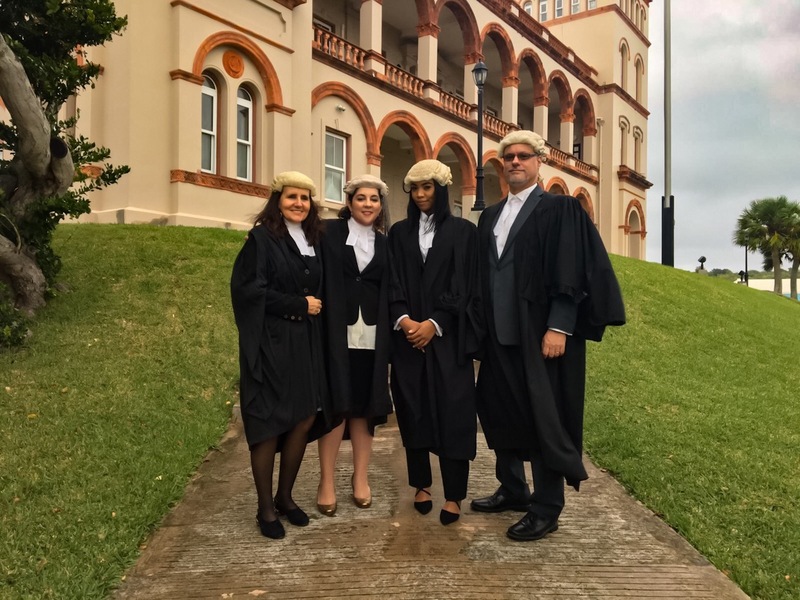 Kimonea Pitt completed her pupillage at BeesMont Law and was called to the Bar on November 16 before Chief Justice Narinder Hargun. She became BeesMont Law’s most recent corporate associate having been a student with the firm for several years before her pupillage. BeesMont Law is pleased to welcome Kimonea as a corporate associate. 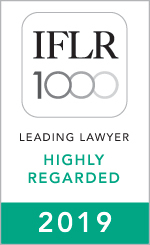 Stephanie Sanderson, a Partner at BeesMont Law, has been endorsed as a Leading Lawyer – Highly Regarded in IFLR1000 2019, one of the premier guides to the world’s leading financial and corporate law firms and leading lawyers. Its rankings are published internationally. The rankings also take into account transactional evidence, technical ability, accessibility and communication, value for money, client-lawyer relationship and international network. The Digital Asset Business Act 2018 (DABA) is Bermuda’s latest development in establishing a comprehensive legislative and regulatory framework designed to support and facilitate growth in the financial technology (Fintech) sector. Bermuda has implemented digital asset business legislation in the form of the Digital Asset Business Act 2018, as well as prudential rules including the Digital Asset Business (Client Disclosure) Rules 2018, the Digital Asset Business (Cybersecurity) Rules 2018, and the Digital Asset Business (Prudential Standards) (Annual Return) Rules 2018. The DABA legislation regulates digital asset business carried on in or from within Bermuda and protects the interests of clients or potential clients of persons carrying on the business of digital asset business. Stephanie P. Sanderson, Partner, authored the Bermuda chapter of Getting the Deal Through 2018 edition of Public M&A which is available in print, as an e-book, and online. This specialist publication covers M&A transactional requirements and procedures governing publicly listed companies, covering such areas as: types of business combinations, applicable legislation, filings and public disclosure requirements, substantial shareholding regulations, duties of directors and controlling shareholders, shareholder rights of approval and appraisal, hostile transactions, among other key topics. In an article published in the Captive Insurance Times (Issue 154), Stephanie P. Sanderson explains why Bermuda is a natural choice to lead global insurtech developments and innovation, and provides an overview of the Bermuda insurtech sandbox and innovation hub. 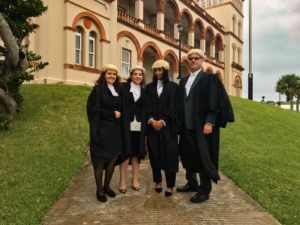 BeesMont Law attorneys – Stephanie P. Sanderson, Kit Cunningham, and Kimonea Pitt – have authored the Bermuda chapter of Getting the Deal Through: Corporate Governance (17th Edition). The 2018 edition of Corporate Governance is available in print, as an e-book and online. The publication provides a summary of the pertinent aspects of company law and corporate governance practices worldwide touching upon: sources of governance rules and practice, government agencies and shareholder activism, rights of shareholders, voting rights and requirements, shareholders’ duties and liability, anti-takeover devices, standards of care of directors, as well as various other important corporate governance matters. In an article published in the Royal Gazette, BeesMont Law’s Technology & Innovation team lead, Stephanie P. Sanderson, explores whether blockchain is the future and outlines the various applications of the technology and industries which it impacts.